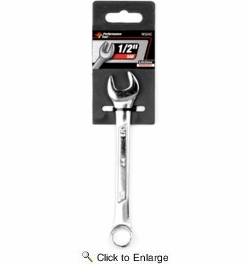 Performance Tool W324C 1/2" Combo Wrench. 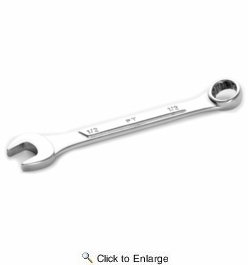 Drop forged and hardened chrome alloy steel. Box ends feature rounded corners for increased torque. Professional style raised panel, full pattern design.